Enjoy the fun new colors in the Speedo LZR Elite Line. The Speedo Fastskin LZR Elite competitive swimwear is an amazing suit that is preferred by many swimmers. With its exclusive design and the perfect fit for many swimmers, this swimwear makes the perfect option. However, in the past, the men’s and women’s versions of these suits were only available in black. While this is a perfectly suitable color, whether you are practicing or competing, many swimmers want the ability to choose something different. Today, the Fastskin LZR Elite swimwear is available in several new colors to best outfit any swimmer. The Speedo LZR Elite Jammer is the perfect option for men who are looking for the perfect fit and compression in the water. Made from the LZR Pulse material, swimmers can choose from the traditional black or the new attractive combination of black and green or navy and raspberry. This fabulous male competitive swimwear features bonded seams that make it easier to swim through the water at a much faster rate than other types of seams that can actually slow you down in the water. These suits are FINA approved and may be used for high school and NCAA competitive swimming. For the females, the Speedo LZR Elite Recordbreaker Kneeskin is an excellent option. Made from the same versatile material as the male version of this top competitive swimwear, the female version is also available in black, black and green or navy and raspberry. In addition to the bonded seams and water repellant and chlorine resistant properties, this competitive swimwear features a 3D three-piece pattern that makes it fit better than many of the other swimwear options on the market. Women will enjoy the high levels of comfort, as well as the ease with which they will move through the water when wearing this remarkable suit. Finding the perfect competitive swimwear is critical to ensure your success in the water. While the Speedo LZR Elite has been a popular suit for some time, it was previously only available in black, making it difficult to choose this suit over the other fun options that were available in other types of suits. However, swimmers today can choose from the new fun color combinations of black and green or navy and raspberry to obtain the benefits of the Speedo LZR Elite, as well as the ability to show some personality with your chosen colors. The Speedo LZR Elite line is set to introduce three new colors. Whether you have been a fan of the Speedo LZR Elite line of swimwear or you are looking for a new competitive swimsuit to wear, you will be excited to learn Speedo is releasing this popular swimwear in three new colors in March. These new colors will provide you with more variety over the traditional black suit that is currently available. Even though the company is putting out these three new colors, you will still be able to enjoy all the benefits of this amazing competitive swimwear for men and women. The black of the current LZR Elite line is sleek and attractive in the water. However, many competitive swimmers want a way to stand out from their opponents. With the three new colors coming this spring, they can. The three new colors that are available are black and sapphire, black and green and navy and raspberry. For women, these three colors will be available in the Speedo LZR Elite Recordbreaker Kneeskin. This sleek full-body suit provides a fit that will compress the areas that require compression. The material from which this suit is made is chlorine resistant, water repellant and fast drying. This FINA-approved suit features bonded seams to reduce the amount of resistance swimmers experience in the water and provides the maximum in power, form and accuracy to improve swim times. 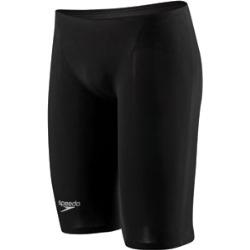 For those men who are excited about the new colors, the Speedo LZR Elite Jammer is the competitive swimwear of choice. Made from the LZR Pulse fabric, this swimsuit offers the perfect compression and fit to encourage easy movement through the water with the least amount of resistance. Approved by FINA, this swimwear can be used on both the high school and collegiate levels, as well as in professional swimming for the best results possible. If you are looking for the perfect way to add a splash of color to your competitive swimwear, the three new colors that will soon be available in the Speedo LZR Elite Recordbreaker Kneeskin for women and the Speedo LZR Elite Jammer for men are the perfect option. These three new color combinations aren’t as loud as some competitive swimwear can be, but they will offer something different in the water, helping you stand apart from your competition. The unique design of these suits will also help you enhance your performance in the water naturally. The Speedo FastSkin3 Racing System is adding back the Speedo LZR Elite. When you are putting together your swim gear for your competitive swimming career, you will need to think about your own personal preferences. As you consider your options, you will be pleased to know that a big name like Speedo understands that each swimmer has different needs and tastes. When it comes to the FastSkin3 Racing System by Speedo, swimmers will have more than 13 different pieces to choose from. Instead of only having a couple of choices or having to choose a specific set, swimmers can put together a package, including racing swimsuit, cap and goggles, that works best for them. While the FastSkin3 Racing System of swimsuits, caps and goggles has been around for a while, the Speedo LZR Elite, available in both men’s and women’s styles, was not always a part of the racing system. 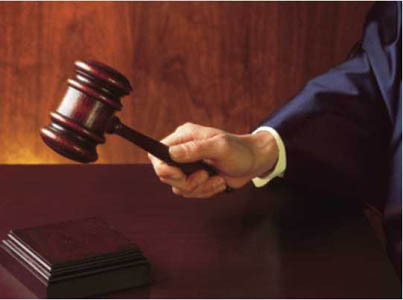 It had previously been a part of the system but was discontinued. However, because of the demand by swimmers who are looking for changes to the line, Speedo has redesigned and again included the LZR Elite swimsuit into its line. This means swimmers now have three different suits from which to choose, each one offering its own range of benefits to swimmers. If you aren’t sure if the LZR Elite is the right swimsuit to add to your FastSkin3 Racing System goggles and swim cap, you will want to examine the features of the suit. This will help you determine if it is the right suit for your racing needs. The LZR Elite is a fully bonded suit that is made from lightweight material so you feel less constricted. You will experience the benefits of all-over compression, as well as comfortable leg openings so you can enjoy all the comforts while helping your body perform better in the water. In addition, the suit features core stabilizing features for optimal performance. Your performance in the water isn’t only limited by your skills and experience. You will also need the help of a quality competition swimsuit, combined with the right goggles and swim cap for your body style and swimming technique. To increase your combination options for the FastSkin3 Racing System, Speedo has again added the redesigned LZR Elite swimsuit to the line. Whether you already have a suit and are looking for a replacement or you are using the FastSkin3 system for the first time, this suit or one of the other two available suits in the system may be the right option for you. The Speedo LZR Elite swimsuit is the latest addition to the FastSkin racing suit line. Many swimmers are already familiar with the FastSkin racing line of competition swimming suits. In addition to the suits in the line, swimmers can further customize their swimming experience with the goggles and caps, making the perfect combination to help you swim faster. Previously a part of the line, the LZR Elite has been redesigned and placed back in the line. These suits should be available to swimmers by the beginning of June. 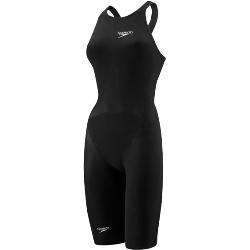 Women who are looking to use the Speedo LZR Elite will enjoy the fit of the recordbreaker knee swimsuit. This competitive swimsuit provides streamlining that will help you cut through the water with less resistance. The seams are now bonded, which can provide a faster swim as well. Made from 70 percent polyester and 30 percent lycra, this suit offers great flexibility so you can wear the suit long-term with comfort. Men can experience all the same benefits as the women with the Speedo LZR Elite jammer. This suit features the longer legs that will help keep your legs more streamlined as you swim. The bonded seams in this suit will help promote the faster swimming, just like the women’s version of the suit. Also made from a weave of 70 percent polyester and 30 percent lycra, the suit will provide comfort and style all at the same time. Each of the swimsuits available in the FastSkin racing line have their own advantages, which allows swimmers to choose the one that will work the best for their own personal strengths and weaknesses. The LZR Elite is made from a lightweight fabric, which gives swimmers an advantage in the water, along with compression in all areas and a core stabilizer. The seams are bonded to provide for faster swimming as well. In addition to the comfort of the fabric itself, the leg openings are also designed with comfort in mind. If you are looking for the latest in the FastSkin racing suit line, you can start checking out the LZR Elite suits online. They have recently begun shipping to retailers so swimmers can start placing their orders. One of three suits in the FastSkin line, you will be able to choose the suit that works best for you and pair it up with one of the goggles and swim caps that are also part of the line to give you the best chance possible in the water. A large shipment of Speedo LZR Elite Jammers and Speedo LZR Elite Kneeskins has just arrived. The LZR Elite Kneeskins and Jammers are now in-stock and ready for immediate delivery. These two suits are not only the fastest selling racing suits on the market but they are also the fastest legal swimsuits in the water too. The Speedo LZR Elite features an extremely fast fabric, the LZR Pulse, plus it features the bonded seams which make this the suit you want and need. These suits have been hard to find so be sure to not wait another minute and order yours today from D&J Sports Swim Shop. The fastest legal swimsuit for 2010 is the Speedo LZR Elite and the latest body style, the Female Recordbreaker is now available. The Speedo LZR EliteRecordbreaker is the fastest swimsuit on the market and you can get yours today. D&J Sports swimshop just received a shipment of the new female recordbreaker back style. This swimsuit features the classic racing cut along with the quickest swimsuit fabric. The LZR Pulse material is above and beyond anything else that is available now and with the boned seams of the Speedo LZR Elite, you will have the fastest swimsuit in the pool. Swimsuits must be made of woven materials, no more neoprene wetsuits like the Blueseventy and Jaked or even the Speedo LZR Racer swimsuits. No zipper back suits, only open back suits. No swimsuit coverage on the arms or past the knee. Goodbye to the Speedo Legskin swimsuits that have been so popular in the past few years. No male suits above the waist. So what swimsuits can you wear in 2010? The clear frontrunner in the 2010 suit war race is the Speedo LZR Elite swimsuit. The LZR Elite features the same LZR Pulse material as the LZR Racer and the Speedo FS-Pro, plus the bonded seams like the LZR Racer. Demand has been high for the Speedo LZR Elite since all of the other suit manufactures will not deliver their new suits until later this year.